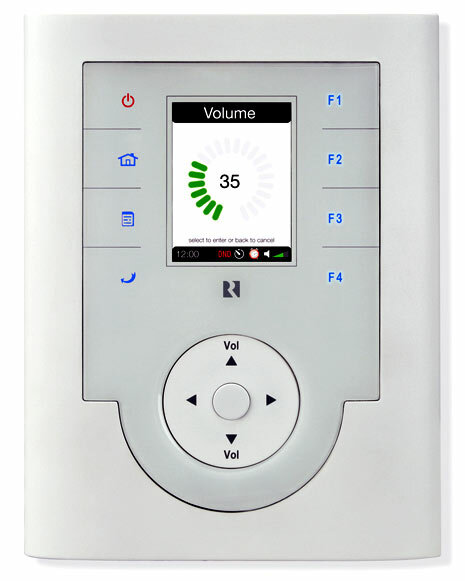 Russound has released their new line of whole-house audio/intercom system. What makes this special is that it doesn’t require anything more than a power cable to get it working. The Collage system relies on HomePlug technology to stream the audio to each location from the Collage Media Manager. Each zone features an capacitive touchpad, click wheel and quarter VGA display with a 30-watt amp. In addition each zone includes a built-in FM tuner and 6-month free subscription to Rhapsody with three independent streams of music. There is also an optional iPod dock. This is a pretty interesting play for retrofit/remodel jobs. This can be purchased via our parent company MAVROMEDIA which is a Russound Dealer.